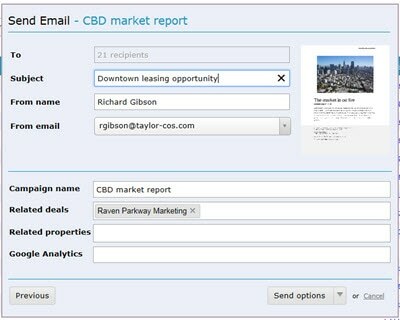 ClientLook CRM commercial real estate software integrates with MailChimp to allow you to send and track email blasts to your clients, prospects, or your industry peers. Setting up the MailChimp integration is simple and is covered in a previous blog article. Once your ClientLook and MailChimp accounts are linked together, it’s time to send an email. 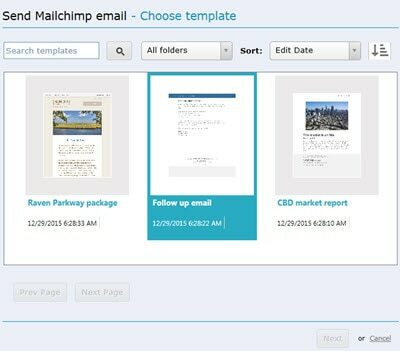 Before you can send out an email blast, however, you’ll need to design one or more email templates within your MailChimp account. The “template” is the flyer, form letter or other mass mail communication that you are going to send out. MailChimp provides great tools to allow you to easily design an attractive mailing piece without being a computer graphics expert. You can choose a page layout, add photos, choose fonts and design some great pages with their tools. You can read all about MailChimp’s template designer by visiting their website. 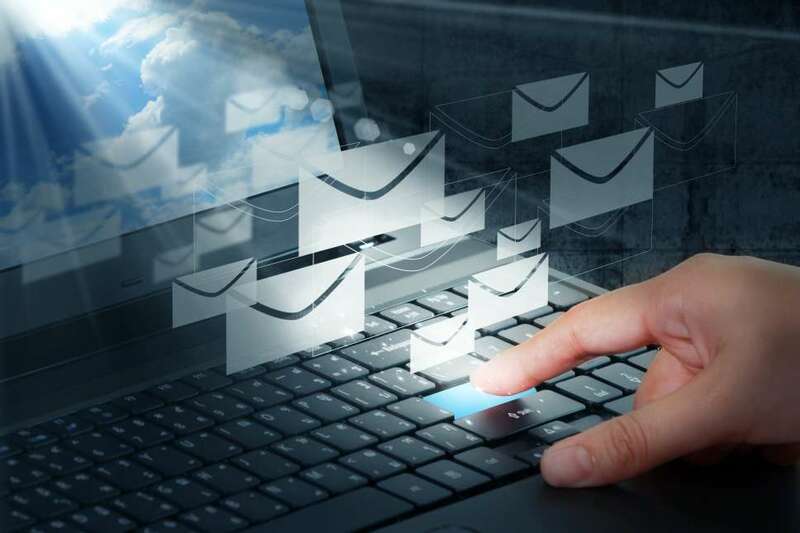 After designing your email templates, everything else is handled from within ClientLook. The first step in sending out a campaign is to decide which contacts you want to include in your mailing. This can be done by doing a search or pulling up the members of a group. To do an advanced search, simply click on “Advanced search” in the upper right corner of the ClientLook menu bar. You can choose any field or combination of fields to search. (Here’s a quick guide to search options). Once you click the “Search” button, a list of matching contacts will come up. You can use this entire list, or use the checkboxes to select the names you don’t want then use the “Omit selected” option at the bottom of the page to remove those specific individuals. 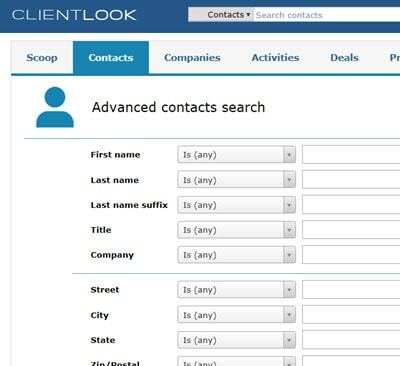 If you have a group already created in ClientLook that includes the people you want to email, just open that group by using the “Show” menu to select the group by name from the list. Your list will open. You can use this entire list, or use the checkboxes to select the names you don’t want then use the “Omit selected” option at the bottom of the page to remove those specific individuals. Now that the list on your screen includes all the contacts that you wish to email, click on the “Options” menu and choose “Send MailChimp email”. The people on this list will be added to your MailChimp account automatically when you complete sending out this email. The template selection box will appear. Choose a template from your MailChimp account to send to this list. If you have no templates in your account, you will need to create one first. After selecting your template, the sending screen appears. The number of recipients will appear on the first line. Verify that this matches your intention. Enter a subject for your email on the second line. This is the subject that your recipients will see, so choose carefully. The “From” lines will include your name and email address. You can change the “Name” to be anything you like, for example “The Taylor Leasing Team” rather than your individual name. 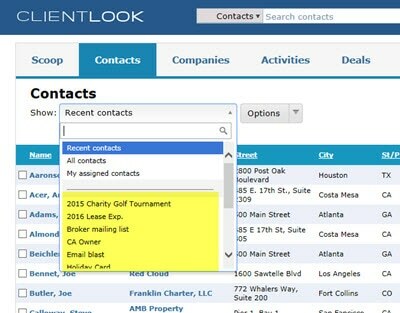 The email address picklist will include all addresses associated with your ClientLook account. The one you select should match the domain you use for your MailChimp account. So if your MailChimp account is listed under “TaylorCommercial.com”, choose an address that ends in that domain. The campaign name will default to the name of your chosen template. You can change this to anything you like. We suggest using something descriptive so you can differentiate this campaign from another. Finally, you can optionally relate this campaign to a deal or property if appropriate. You can also insert a tracking phrase (text only) in the “Google Analytics” box if you use that service to track visitors to your web site. When you are done, click the “Send options” button at the bottom. You can schedule this for future delivery, or use “Send Now” to send this email blast immediately. Congratulations! 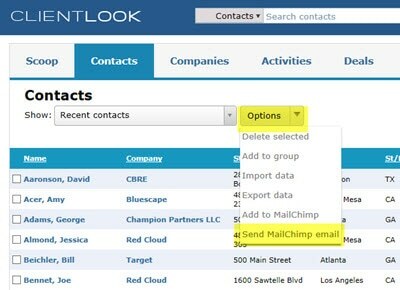 You’ve sent your first email blast with ClientLook and MailChimp!